CONGRATULATIONS to DONNA PERKINS, Ms Mississippi Senior America 2017, and Special Thanks to State Administrator Bonnie Hughes for a wonderful State Queen! As Donna tells it, "I am a very lucky woman. At five-days-old, a wonderful Christian couple adopted me. Because of their nurturing, they opened the world of dance to me at the age of three. To this day, dancing has been my life. It was a proud day when I opened my own studio � Perkins Just Dance. I teach all kinds of dancing to young and old with great satisfaction. The most gratifying group I have been teaching for the last 14 years and perhaps my favorite activity is my founding and directing the mentally challenged Praise and Worship Dance Team. They perform whenever asked and love to do it. I must admit my favorite kind of dance and music is country western. I always wanted to marry a cowboy � and I did. Brian, a bucking-bronco rodeo cowboy, and I have been married for 41 years and we have one son and four granddaughters. Not only is Brian a great horseman, he is a fantastic dancer. We compete often and have won the Show Case World Championship in Couples Country Western dance and the Super Star division in the ACDA. We hold titles in the United States, Europe, and Canada. There was a wonderful turn in my life nine years ago when my three-week-old granddaughter came to us as a gift. Dancing is not her thing, but rodeoing is. She has been winning state awards under her �Poppy�s� watchful eye. Although I grew up riding horses on my parents� farm, I never was in a rodeo. But now, I am barrel racing with my granddaughter and having the time of my life being a senior rodeo queen! We travel the Southeast to compete in rodeos. As well as having my local dance classes, I have traveled all over the United States teaching private lessons and conducting workshops. 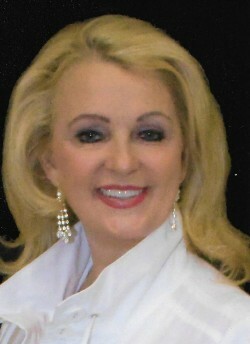 I have mentored and coached young girls for pageants and am the state director for a national system. Volunteering is also a big part of my life. For the past fourteen years, I have worked with the Special Olympics and the Relay for Life. Most recently, I have competed for the Dancing with the Relay Stars and my partner and I were the first Mississippi �Mirror Ball� winners. My mentally challenged dancers perform for nursing homes and city events. Making Shoeboxes for Soldiers and snack packs for Batson Children�s Hospital in Jackson, MS is a way I have of teaching my granddaughter to give back and to share. I love the activity of teaching deaf children to dance. Lately, I have been giving instruction to the Louisiana Angels -- another mentally challenged dance team. Since Laney, my granddaughter, has been with me these last nine years, I feel like I am living my life all over again. I am, once again, nurturing like a mother. I rodeo, I volunteer and I am Ms. Mississippi Senior America and the love of my life, my cowboy husband Brian is with me all the way.